EDEN BodyWorks was the brainchild of Jasmine Lawrence when she was just a child herself. At 11 years old, Jasmine faced her first beauty challenge. Her hair was badly damaged and she was searching for natural products to nurture and restore her hair back to health. With no solution in sight, Jasmine took to her kitchen and concocted her own remedy. And there, the EDEN BodyWorks story begins. 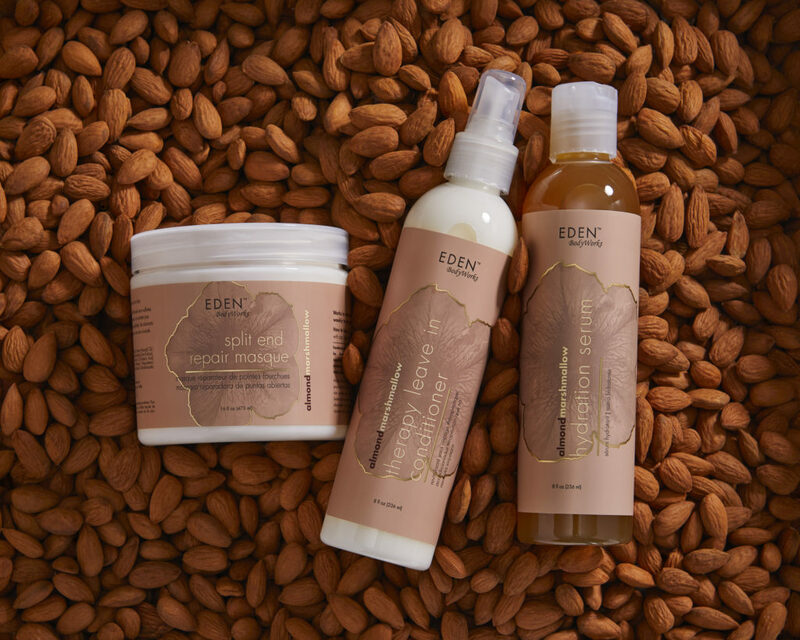 EDEN BodyWorks™ provides natural products that integrate wellness and beauty inspired by nature to restore and maintain the hair and body’s original design. PEPPERMINT OIL Peppermint Oil is an astringent that regulates the scalp’s production of oil. It helps to normalize both dry and oily scalps to cool and soothe pain, itching, and flaking that stems from irritation and inflammation of the scalp. COCONUT OIL Coconut oil is an emollient that smoothes and softens the hair. The fatty acids in the oil also have antibacterial and anti-viral properties, which alleviate dry, itchy and flaky scalp. JOJOBA OIL Jojoba oil is a long-lasting moisturizer that seals in moisture and controls natural sebum production to reduce oily scalp. It doesn’t evaporate the way water can and thus provides a great substitute for those who suffer from dry scalp as well. MONOI OIL Monoi de Tahiti is a natural cocktail of coconut oil and vitamin E. The final product acts as an emollient and lubricating agent that soothes and softens the hair. SHEA BUTTER Shea butter contains a combination of vitamin A & E, which soothes dryness, mends split ends and repairs breakage. The inherent moisturizers restore relaxed or chemically treated hair. This ingredient also contains a fatty acid that soothes and heals the skin; it’s a great way to protect the scalp before a relaxer to help prevent chemical irritation. TEA TREE OIL Tea Tree Oil is a powerful antibacterial and an anti-inflammatory product – the antiseptic properties remove build up from the hair follicle to make room for new hair to grow. 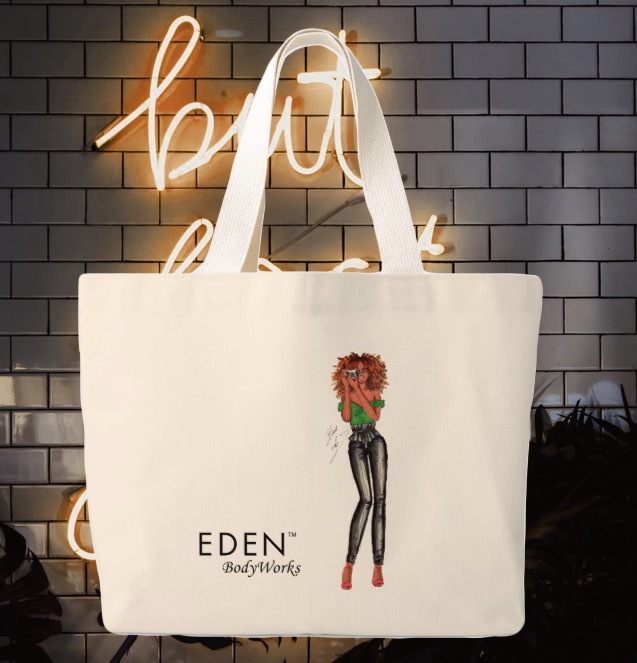 Keep up with all things EDEN by signing up for their weekly newsletter at the link below or downloading the curl friends APP (iOS and Android). You can shop EDEN at Amazon.com, Sally Beauty, Target, Walmart, local beauty supply stores, and edenbodyworks.com. Follow EDEN BodyWorks @edenbodyworks on social (Twitter, Instagram) and EDENblog (Facebook.com/EDENBlog). Join the conversation using the hashtag #discoverEDEN. 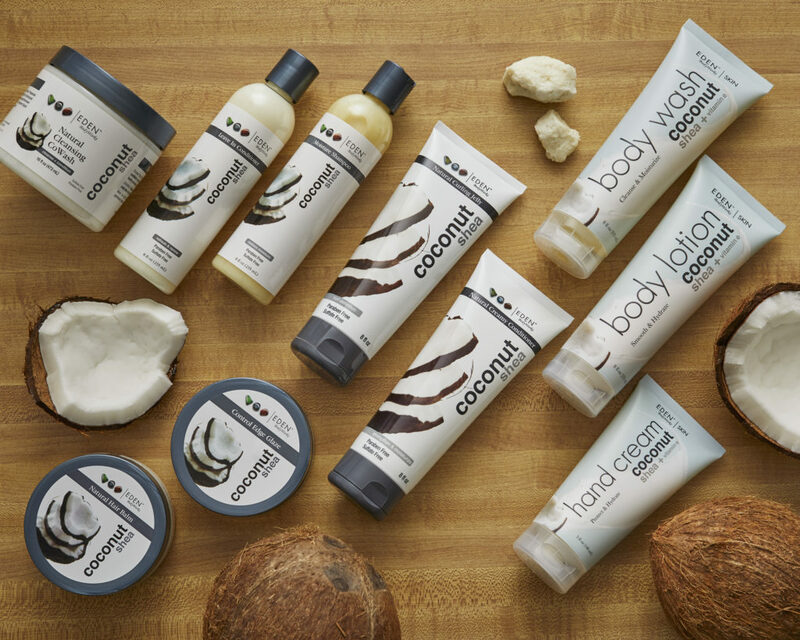 The curly girl favorite collection is the Coconut Shea collection – which contains everything from Shampoo and CoWash, Conditioners, to Stylers and more. EDEN launched 2 new collections in 2018: Almond Marshmallow and Hibiscus Honey. EDEN BodyWorks will be bringing their latest spring collection to Mississippi. Be one of the first to experience it – and grab one of our free curlfriends bag with a $40 or more purchase.